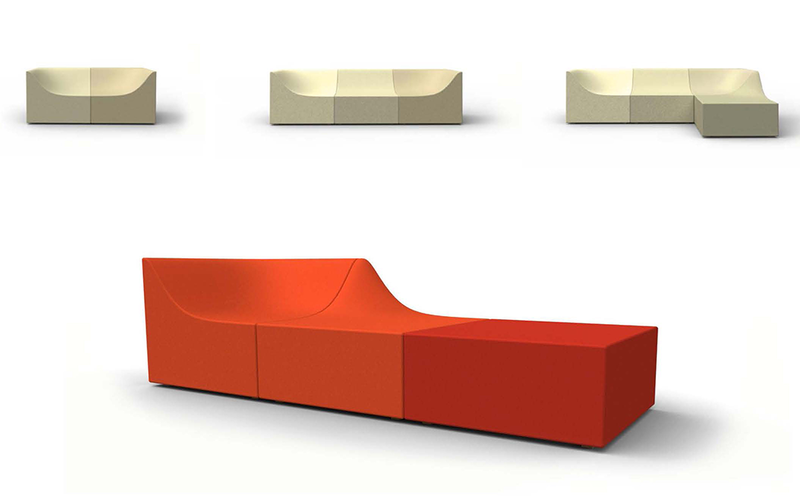 Softscape is a modular seating system. Using 4 different modules, Sofscape is able to create countless configurations that vary from a traditional sofa to a complex seating island. Depending on the configuration, Softscape is ideal for both domestic or public environments.